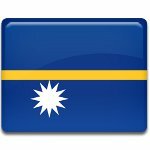 The Republic of Nauru annually celebrates Angam Day on October 26. The name of the holiday angam in Nauran means “celebration”, “to have triumphed over all hardships” or “to have reached a set goal”. Angam Day was introduced in Nauru after World War I, when population of the island reached a catastrophic level of less then 1,500 people. The nation wouldn't survive and the island came under mandate of Australia, New Zealand and Britain. Survival of the nation was their ultimate goal, that is why the day when the population would reach the number of 1,500 would be proclaimed Angam Day and commemorated annually. The needed baby was born on October 26, 1932, the nation was not in danger any more. After the end of World War II the nation again was in danger, that is why the second race for the first Angam Baby was proclaimed. The baby was born on March 31, 1949 and the Naurans were able to celebrate Angam Day again, however, they didn't chose the date of celebration and it remains October 26.